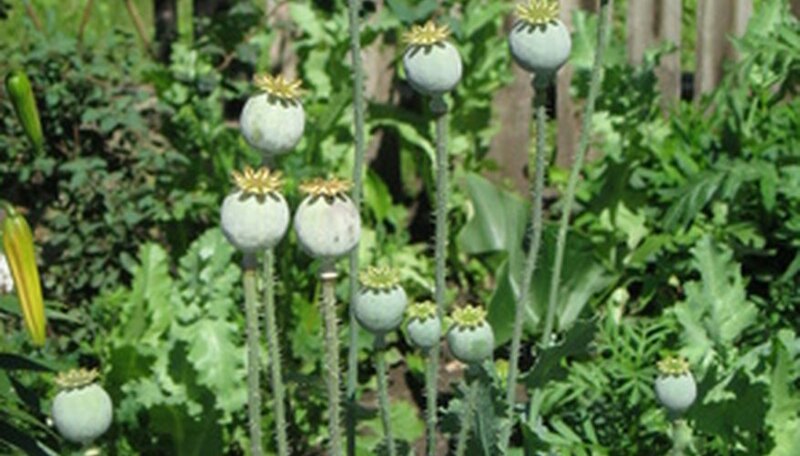 While the most famed member of the poppy family (Papaver) is certainly the opium poppy, gardeners are unlikely to find that poppy--responsible for the drug opium--growing in their community. Several other poppies exhibit the bright hues and crinkled petals but lack the intoxicating affects. Learn to distinguish different types of poppy plants to choose the best varieties for your garden. All poppies bloom in the summer and prefer full sun. Identify them when the flowers are up. Note the color of flowers. Are they all the same or different? 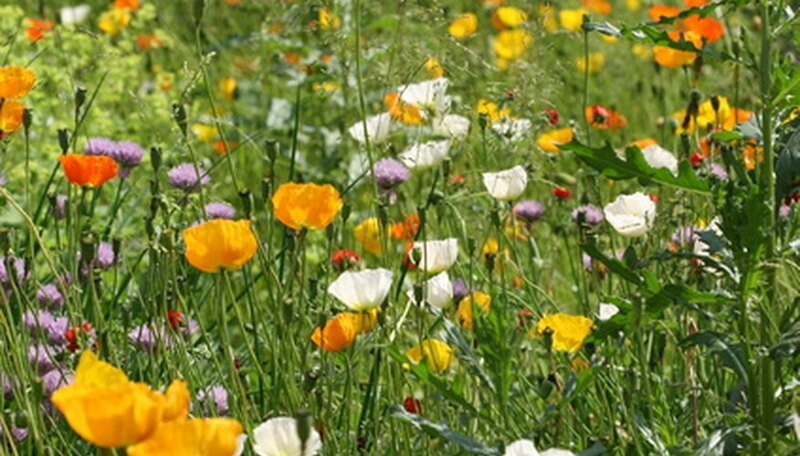 Poppy plants come in hues of orange, red, yellow, pink and white. 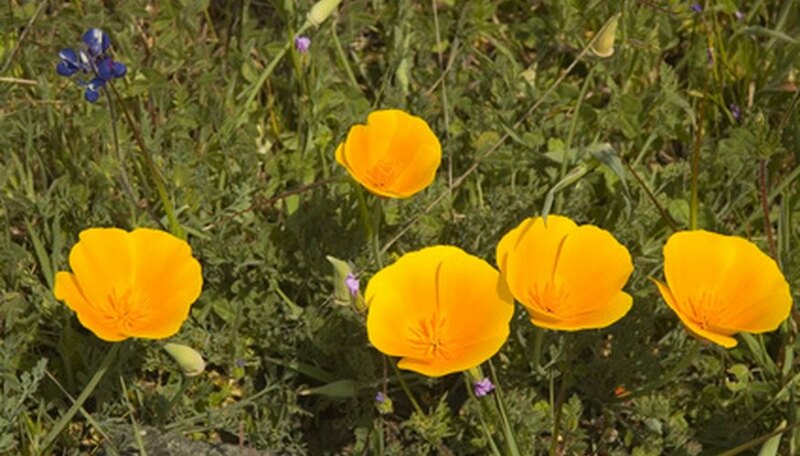 If the flowers are all the same hue and they are orange or marigold colored, you've probably found California poppy (Eschscholzia californica). If the leaves are smooth and not crinkled, and if the blossoms are closed on a cloudy day, you've spotted California poppy plants. The flowers only open on sunny, bright days. Classify scarlet red poppy flowers that appear alone, with no other colors of poppy nearby, as Flanders poppy (Papaver rhoeas). These flowers have hairy, thick stems and hairy leaves. The red petals feel crinkly and hide a black center with yellow stamens. These poppies only bloom in June and July. Examine large, shrub-like plants for white and yellow flowers specific to the Matilja poppy (Romneya coulteri). These flowers have six crinkled petals that surround a yellow stamen. Five to eight flowers grow on a single stem. These poppy shrubs grow up to 8 feet tall. Matilja poppies bloom from May to July. Find multicolored groups of poppies with coarse, hairy foliage and stems and blossoms in hues of red, pink, white, yellow or orange. These may be either Oriental poppy (Papaver orientale) or Icelandic poppy (Papaver nudicaule). Icelandic poppy grows up to 2 feet tall and grows in USDA Plant Hardiness Zones 3 to 9. 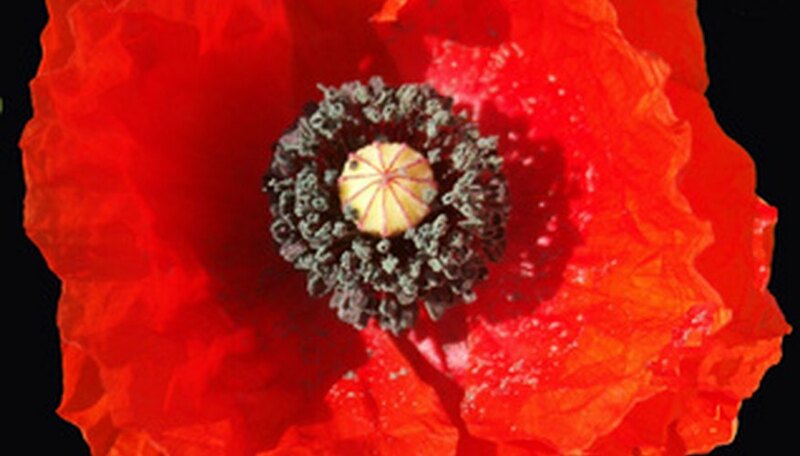 Oriental poppy shares a similar range as Icelandic poppy, growing in zones 2 to 7, but bloom for a shorter time period.